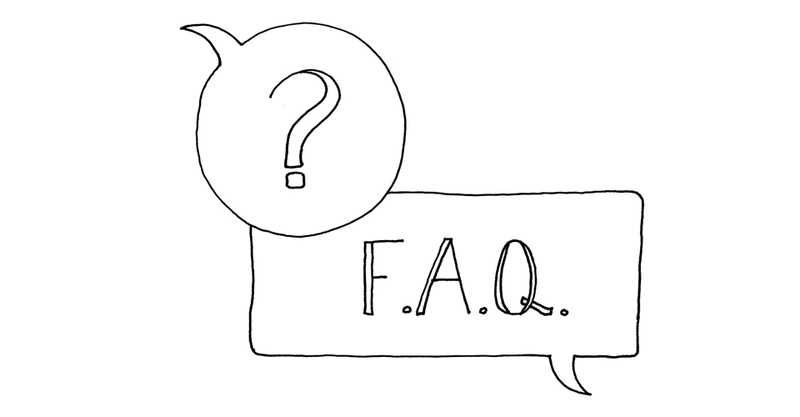 FAQ | That Girl Shines Services Inc.
Have more questions about scribing or the other services listed here? Send Sunny an email. Q: What is scribing (aka visual or graphic recording, visual or graphic facilitation)? A: A scribe uses icons, typography and keen listening skills to distill your words and ideas into a graphic recording of your conversation. Keeping in mind that there are three learning styles - visual (seeing), oral (hearing) and kinesthetic (doing) – combining the visual with the oral stimulates ideas, galvanizes thought and creates a shared story. Q: How can scribing be used? A: Scribing can be used in a variety of ways. The key to using scribing is to record a story, decisions, lists, to dos, goals, objectives and the like. Scribing can be used as meeting minutes, to tell a story, to enhance a presentation, create lists of action items to steer a project and team, or as an aide to help stimulate creativity during brainstorming. What are some ways you can use scribing in your business or organization? Q: Where and when is scribing appropriate? A: From presentations, panel discussions, keynote presentations, strategy meetings, product development ideations, business planning, business modeling sessions, training and just about any event. capture the key highlights of panel discussions, keynote speeches, presentations to share as takeaways in conference/convention booths to visually sell your product or service to catalogue planning meeting, strategy sessions, etc. sketch product development ideas to life for richer plan for developing and organizing marketing research plans … and so many other ways. A: I work with white boards and dry erase markers, foamcore and markers, rolls of paper of flip charts and markers, or a simple just a piece of paper and a pen. Q: What does the creative process look like if I choose to engage your scribing services? discovery discussion: discuss dates and location for availability; understand the framework of your event; determine how my work is best suited for this your particular event; goals and objectives of your event and the scribing; how you envision the scribing used during and after the event. event planning, content review and input: review agenda and any presentation/content materials; define format of scribing: white board, paper or foam core, or a mix of the three; discuss digital format for print and web post-event; identify materials required; agree on timing, travel, accommodations. project proposal: project plan timeline, fees and materials, define work product requirements and final delivery date; NDA, if applicable, and contract agreement. pre-event: travel to location, prep. event: draw for your life! post-event: formatting of scribing; delivery of digital images; schedule conference call to debrief event, successes and lessons learned. Q: Why isn’t there more work on this site? A: Many of my clients require an NDA and all outputs are considered private, confidential and the property of the client in question. This site showcases clients who approved content to be public. Q: What does the creative process look like if I choose to engage your illustration services? discovery discussion: understand the framework of your project; determine how my work is best suited for this particular business challenge. objectives and goals discussion: define how my work will be used; discuss the theme, share color palette/logo/branding requirements, if any; agree on final format of deliverables, delivery method and due dates. development: sketches in an iterative process, up to three proof review and revision sessions to finalize artwork requirements and expectations. Q: What have your illustrations been used in? A: My illustrations have been used in presentations, corporate reports, marketing collateral, wedding invitations, restaurant menus, logos, brochures, books, fliers, websites, blogs, business cards, stationery, greeting cards, product development sketches, and just about anything you can imagine! A: I work with pencils, ink, chalk, watercolor, paper, walls, cement and fabric. If I can draw on it, I will. Q: What does the creative process look like if I choose to engage your graphic design services? discovery discussion: understand the your project goals and requirements – what is the product, who is the audience, what is the best tool to communicate your need, how to distribute; determine constraints such as timing; production expectations and preferred vendors; format delivery, timeline and budget discussion. objectives and goals discussion: brainstorm discussion around theme and format; share color palette/logo/branding requirements, if any; agree on final format of deliverables, delivery method and due dates. design: develop design work according to requirements, with up to three proof review and revision sessions to finalize design. application: design files finalized and sent to production, with a final proof to approve. delivery: physical design work delivered to client with 5-10 samples sent to designer. Q: What has your design been used in? A: I have designed presentations, corporate reports, marketing collateral, wedding invitations, restaurant menus, logos, brochures, books, fliers, websites, blogs, business cards, stationery, greeting cards, lip balm, t-shirts, bags, napkins, pens and other promotional products. Q: Why aren’t there any samples of your documentation work? A: Most of the meetings I document require an NDA and outputs are considered private and confidential. I have a few samples that have been redacted that can be shared to help you understand what the final product reads like. Q: What does the creative process look like if I choose to engage your documentation services? discovery discussion: discuss dates and location for availability; understand the framework of your business challenge; goals, objectives and desired outputs of your meeting; how you envision the documentation will used after the meeting; define document format – word, powerpoint, blog, twitter or combination; review documentation station requirements. event planning and input: review agenda and any presentation/content material; define format of documentation – bulleted or paragraphs; review any branding/pattern language, acronyms, etc. ; agree on timing, travel, accommodations. project proposal: meeting timeline, prep work if required, fees and materials, define work product requirements and final delivery date; NDA, if applicable, and contract agreement. follow up: schedule conference call to debrief event and documentation.